Thu., Nov. 24, 2016, 7 p.m. When: Friday through Dec. 18; Thursdays-Saturdays at 7:30 p.m. and Sundays at 5 p.m. Cost: $27.50, available from the resort concierge desk, by phone or online. The words “cozy” and “friends” and “cheer” are frequent descriptors. 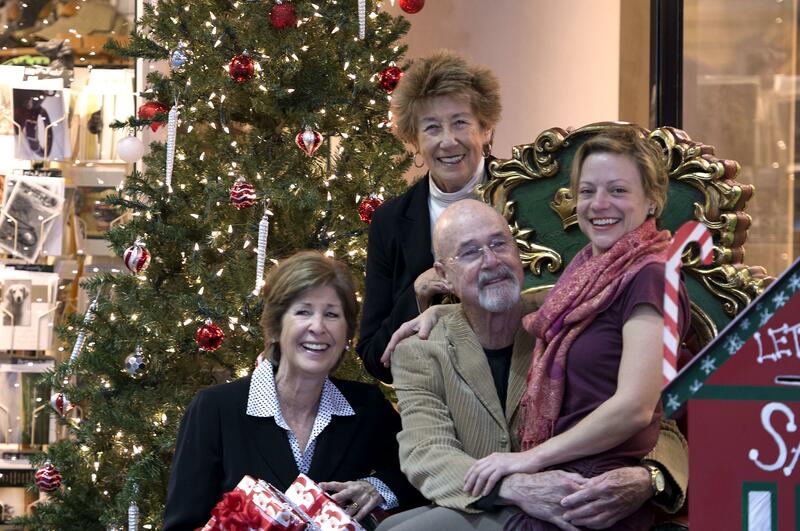 Once again, Coeur d’Alene actor Ellen Travolta is teaming up with her sister, Margaret; husband, Jack Bannon; and musician friends Katie Strohmaier and Scott Steed for the annual holiday show at the Coeur d’Alene Resort. Titled simply “The Christmas Show,” this year’s Travolta production harkens back to the 2014 edition, “I Remember Christmas.” It features a combination of songs – Strohmaier sings a medley of popular holiday music for children, for instance – and stories. A couple of the stories will be familiar to those in the audience two years ago – like the time Margaret Travolta saved her money to buy her father a color television, or when Ellen Travolta’s gift to her youngest brother John was a roundtrip plane ticket from New York to Philadelphia. The sisters will talk about the records they both cut when they were young, and they’ll share stories of the people who lived in their Englewood, New Jersey, neighborhood when they were growing up. Strohmaier, who grew up in Lewiston and who got her first professional gig with Coeur d’Alene Summer Theatre in 1999, is now based in Seattle. The singer and teacher – she’s on the adjunct faculty at Cornish College of the Arts – said she didn’t think twice about returning for a second round of the show. “It’s a sweet, kind of jazzy ballad,” she said. Margaret Travolta, for one, is happy to let Strohmaier do the bulk of the singing. She’s eager to dive into the storytelling aspect of the show. The Coeur d’Alene resident who built a career as a voice actor and who later worked as a supporting player in movies such as “High Fidelity,” “Ocean’s Thirteen,” “Catch Me If You Can” “While You Were Sleeping,” said she was “absolutely” happy to return. Bannon, too, enjoys the comfort level of the annual holiday performance. “It’s more of a gathering than, say, ‘Let’s put on a show,’ ” Bannon said. “It has been fun in the past, and I hope it’ll be fun this,” he added with a laugh. Published: Nov. 24, 2016, 7 p.m.